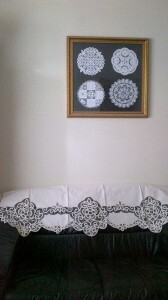 Battenburg Lace, especially hand made, is always breathtaking & beautiful. 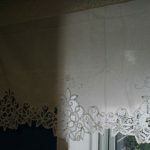 We offer a lace valance ever more elegant with lace details on the top portion where the rod pocket is. Has Double-lined rod pocket. 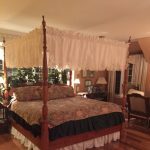 Close up images illustrate the beauty of skilled workmanship. 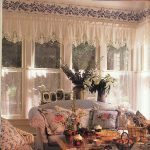 Our Elite Battenburg Lace product line is so beautifully crafted that can transform any ordinary window into visual elegance. 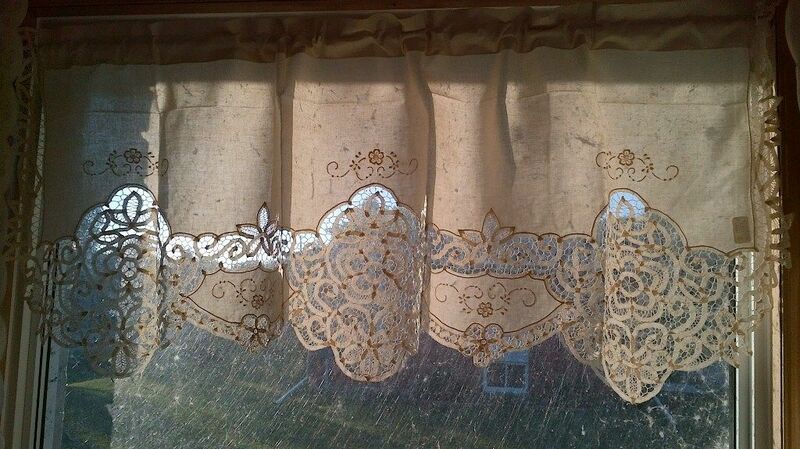 The “window panes” give the lace an interesting element…where there are lace flowers, embroidered flowers complement. 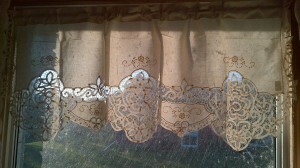 This “window pane” style features a plain top, unlike the “Lace Top” valances. 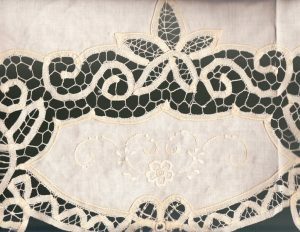 Plain at top portion where rod pocket is. Generous rod pockets : 1.5″ and 2.5″. 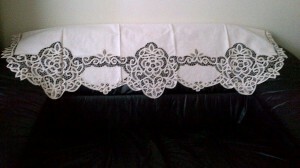 Crisp white or Vintage Ecru. 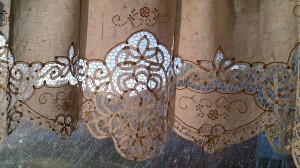 Satin stitched flowers as accents. 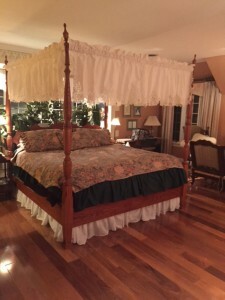 How else can you decorate?